The holiday season is upon us. For kids, this is often the season of getting – new toys, clothes, electronics and other gifts. But it should also be the season of giving. So before you sit down for your Thanksgiving meal as a family, take the time to come together the weekend before, on Nov. 17, to make a difference in your community on National Family Volunteer Day. 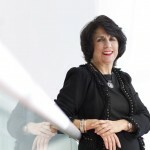 Child psychologist Georgette Constantinou, director of psychiatry and psychology at Akron Children’s Hospital, said giving back can change the way children view the world. In addition to helping those in need, children also reap the rewards of volunteering. Volunteering isn’t just for teens. With adult guidance, younger children can also participate. 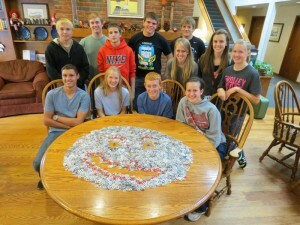 Pop tab collection is a great project for schools and churches. Collect change. Your child can collect change in an empty jug from friends and family. When the jug is full, have him donate the change to a good cause. The Red Cross is accepting donations for Hurricane Sandy relief efforts. Rake leaves. Find a nursing home or elderly neighbor and offer to help them with their lawn care. In the winter months, offer to shovel their driveway. Give the gift of music. You don’t need a professional voice to brighten someone’s day. Sing songs at a local nursing home or hospital. Go with a choir or as a family. Prepare a meal together. The Ronald McDonald House of Akron welcomes parents and their children (groups of 6 or less) to come in and help prepare a breakfast, lunch or dinner for its house guests. Times and commitment levels vary. For more information call, 330-253-5400. Organize a pop tab drive. Have your child ask friends, family, classmates or fellow church members to save pop tabs for Ronald McDonald House. One pound is about 1,280 tabs. Tabs are 100 percent aluminum, which makes them more valuable than the whole can. Last year, $4,000 worth of pop tabs was donated to the Akron house, which purchased a computer, radio and digital camera. The next purchase will be a hot dog machine for the kitchen. Make holiday themed gift bags. Kids can use their creative talents to make and fill gift bags for guests of the Ronald McDonald House. The bags are placed outside of each of the 20 guest bedrooms so there’s a special treat for each family that morning. Suggested bag fillers include anything holiday-related including handmade cards, crafts, notes, pre-packaged snacks, etc. Take your child with you. Make volunteering a family activity. Whether it’s a soup kitchen or a children’s hospital, bring your children with you wherever you volunteer and include them in the process.